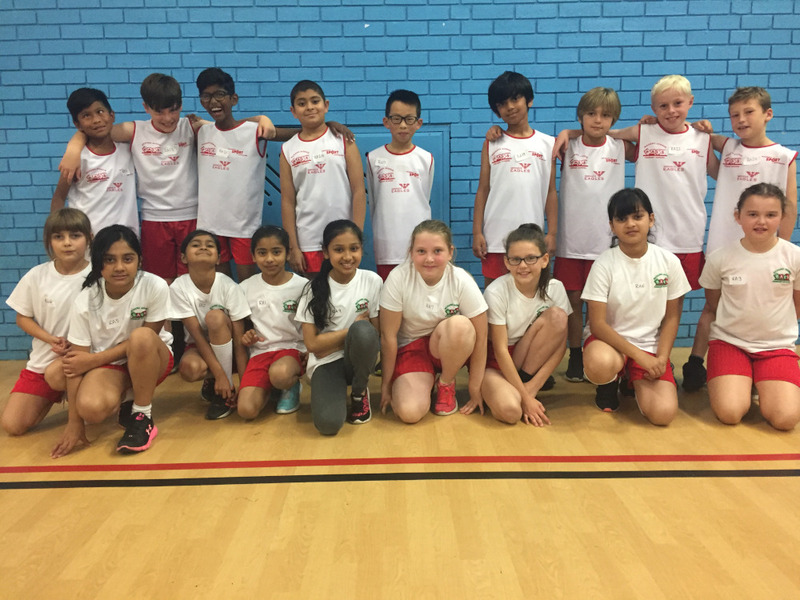 On 16th October 10 boys and 10 girls from Y5/6 represented Richard Avenue at the Sportshall Athletics competition at Biddick Academy. 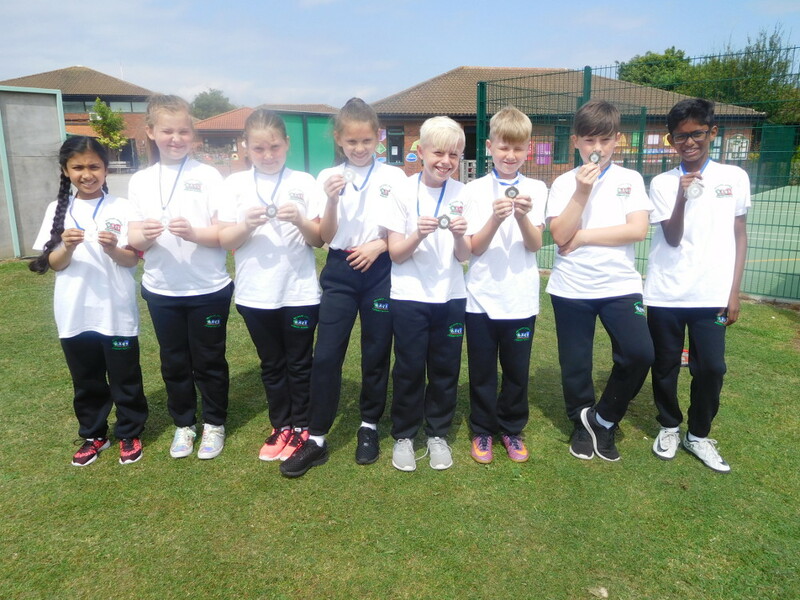 They took part in a range of events such as long jump, sprint, relay, triple jump and javelin. 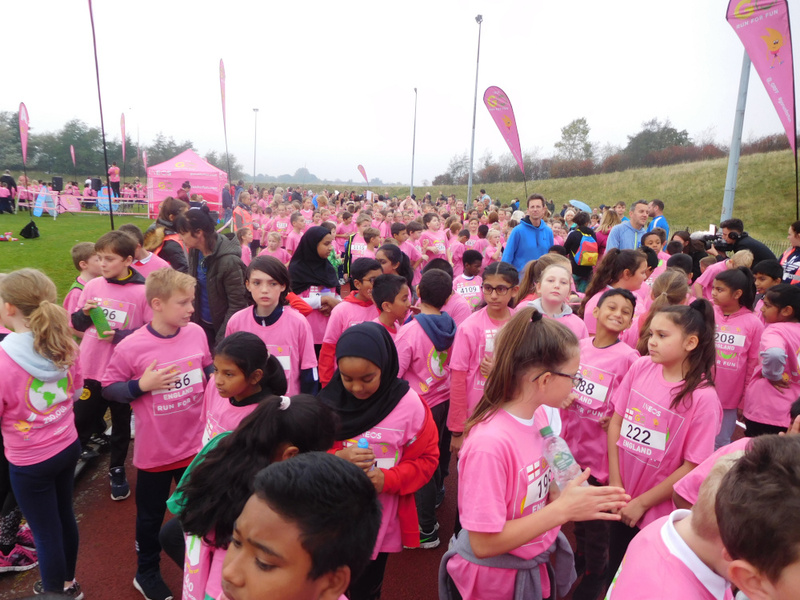 Everyone in the team tried very hard at each event and some children were named as winners in their specific events. On a number of Monday evenings after school the Y5/6 Rugby team took part in the first ever Sunderland Tag Rugby League. The team played seven games demonstrating great team spirit and dedication as they came from behind on a number of occasions. 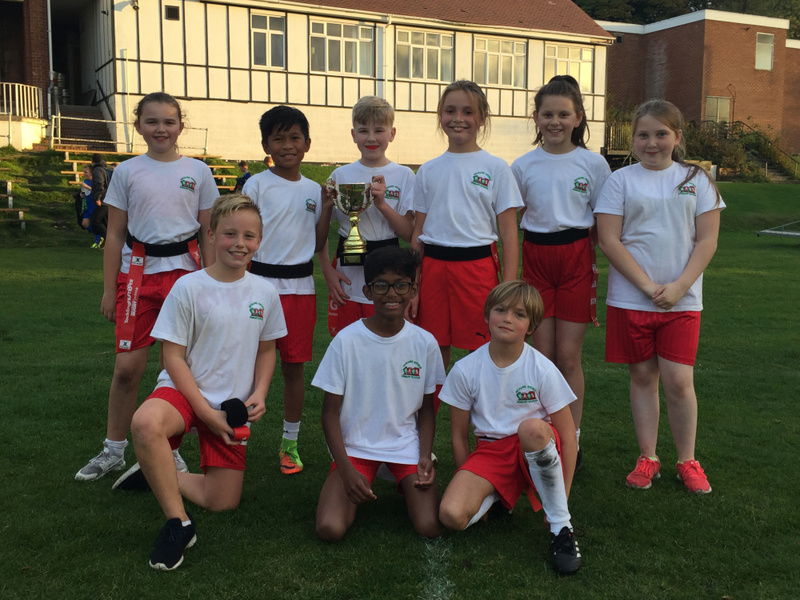 They won three games, drew three and lost one to be named as joint champions. Very well done to everyone who participated. The Year 2 and 3 Football Team in action. 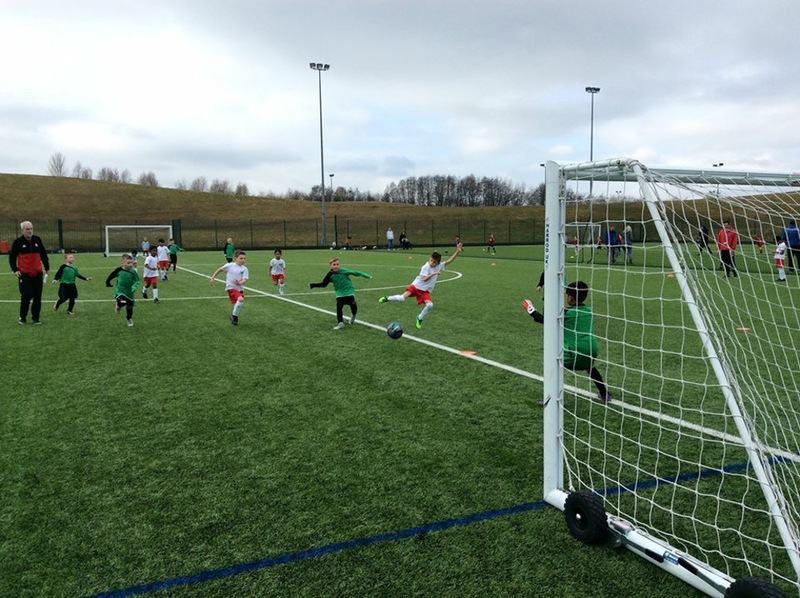 The Year Two and Three boys football team went to Silksworth Sports complex to take part in a football tournament. They played 5 games. After losing the first game 1-0 the boys showed great determination to improve their performance. The next game they drew 0-0. After this the team went on a winning streak and won the next 3 games including a 4-0 victory. The Year 2 and 3 Football Team at the end of the tournament. Lucas and Miguel managed to get 2 goals each throughout the day with Ishaaq on top form and getting himself 4 goals. Well done all! 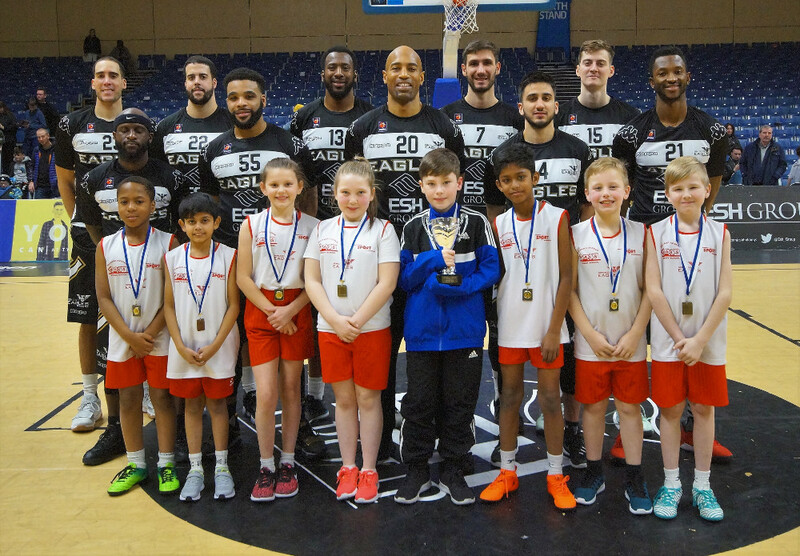 Our Sunderland Hoops4Health winners 2018 with the Eagles. On Friday 2nd February Richard Avenue went to Northumbria University to take part in the Sunderland Hoops for Health Finals. Mrs Todd, Mr Spoors, Mr Old and the basketball team were very excited about watching the Newcastle Eagles game but even more excited about watching Richard Avenue on the court. The team played before the game and then made it through to the final at half time in front of the many supporters in the stands. 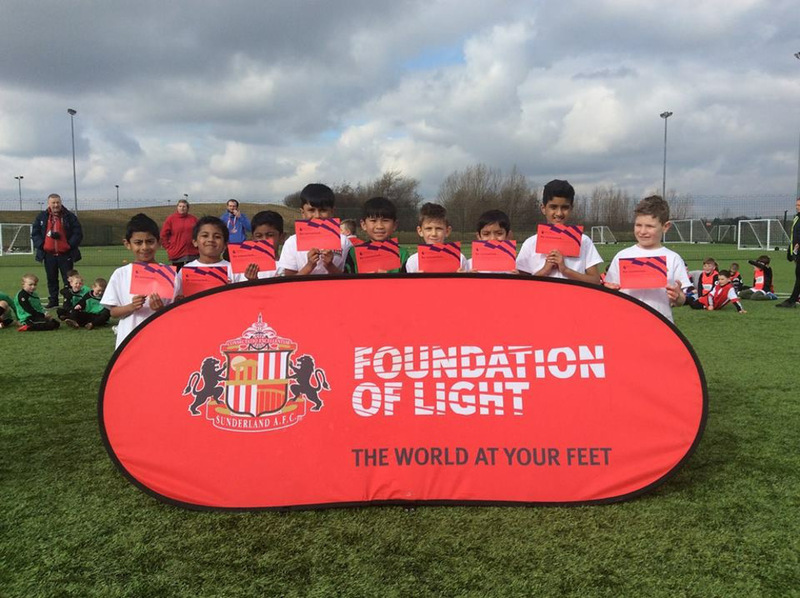 At half time they played one final game and won to be crowned the Sunderland winners! To read more about the event please follow this link. 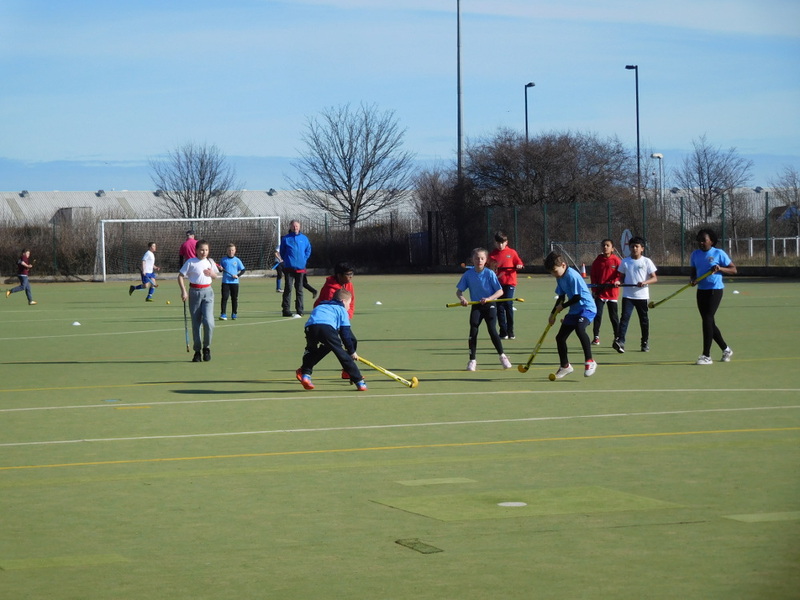 The Year 5 and 6 Hockey Team in action. 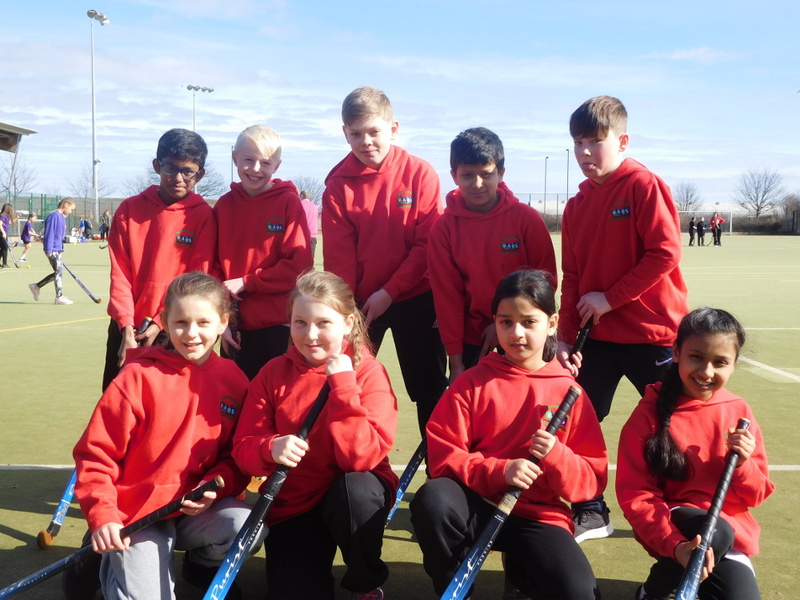 On Thursday 20th March the Year 5/6 Hockey team took part in the Sunderland Finals. 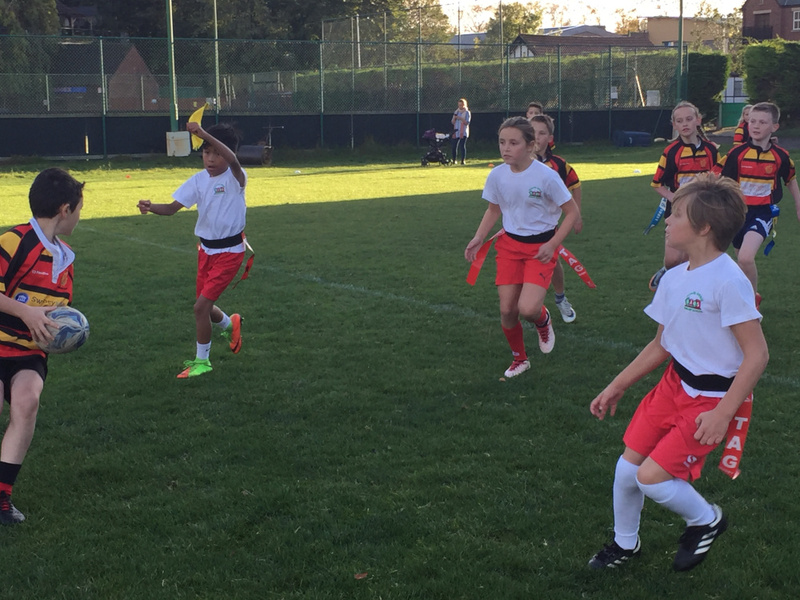 The team played four games in their group. They won their first game 3 – 0, goals coming from Akib, Vishal and Tony. In the their next game the team lost 2-0. After drawing the following game we all knew the final game was a must win to make it through to the semi- finals. A close game saw us going behind until Vishal found an equaliser. Then with only 1 minute to go Richard Avenue got the winning goal with Tony striking a great hit. We had made it through to the Semi Finals. Although we lost 2-0 in the Semi Final, the team should be proud of making the Semi Finals and the effort that they made. Well done all! The Year 5 and 6 Hockey Team. Year 3 get tennis coaching. Year 3 had professional Tennis coaching for a whole half term. 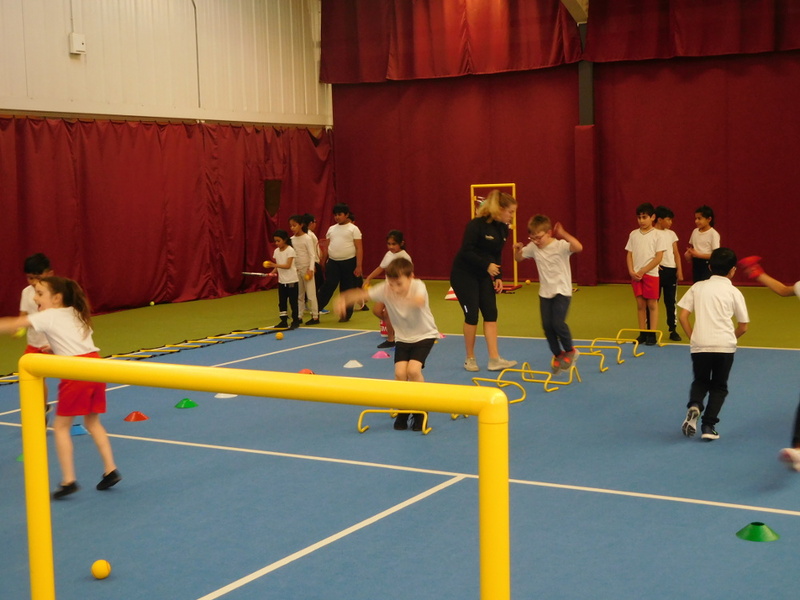 Amy Hoburn who is based at David Lloyd came into school to teach the children new tennis skills. She introduced the children to the different shots and also began working with tennis nets to encourage and develop match skills. 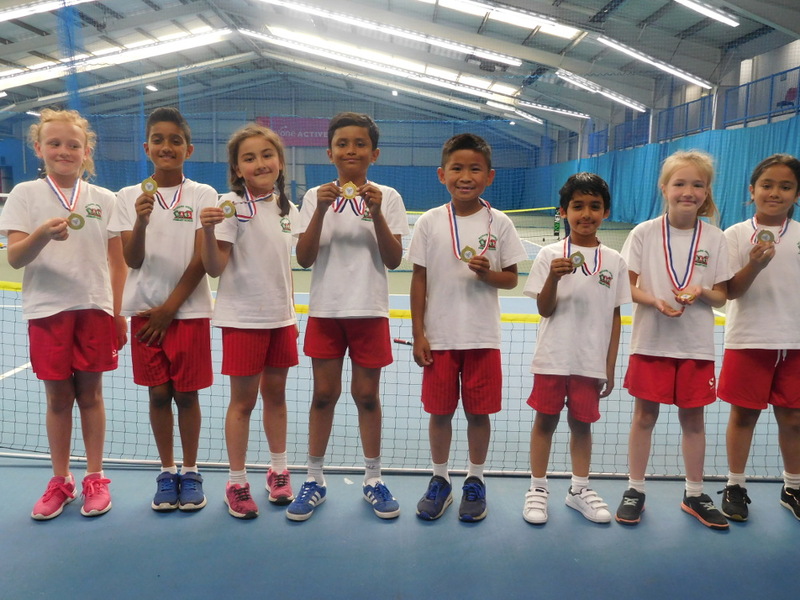 The children were very lucky to go to David Lloyd Sunderland to experience the tennis courts and equipment they have. The children showed great enthusiasm on making the most of the bigger space, the extra coaches and the fantastic resources on offer. The hall was massive and we could run around more and faster. I liked playing on a net with my partner and hitting the ball over. Amy showed me how to do a backhand shot with 2 hands which I can do now. 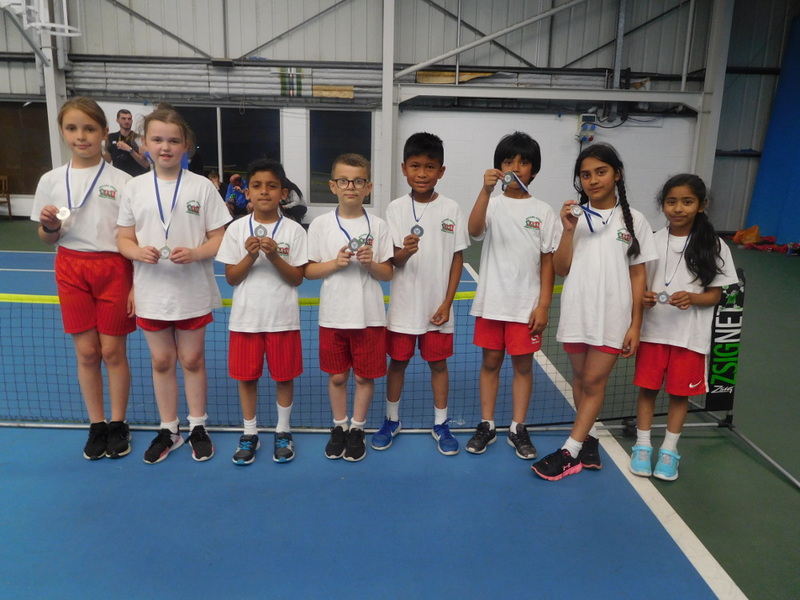 From these lesson we have decided upon a Year 3 Tennis Team who will represent the school at the Tennis Tournament later in the year.